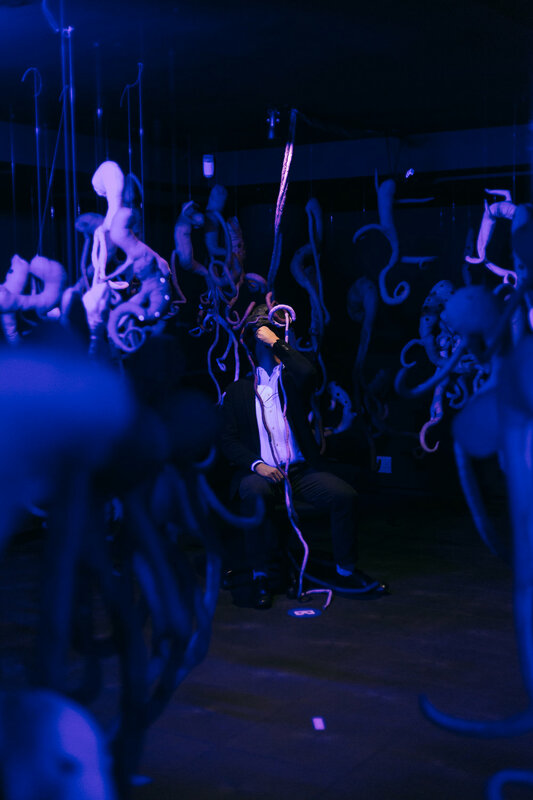 A Crescendo of Ecstasy, presented by TMRW in collaboration with Eden Labs, combines familiar sculptural forms with a Virtual Reality component that brings the work dramatically to life. Based on Mary Sibande’s use of alter-ego figures made in her own likeness, the piece creates an immersive environment for the viewer that can be accessed both physically and virtually, foregrounding the complex relationship between reality, fantasy and artistic imagination. The project extends Sibande’s preoccupation with these three elements and bridges her use of sculptural technology with the language of virtual reality.